Update: I have a new post on this subject if you’re looking for further reading. Over the past year, I’ve been getting quite a few questions that center on the general value of a used Polaroid camera. How much should one pay for a camera? How much should a camera be sold for? What is the model for pricing a Polaroid camera? Unlike new products, there are no suggested retail prices to go by. Lately it’s gotten even more confusing, as some stores sell cameras for hundreds of dollars while other sellers give the exact same ones away for pennies. To help you understand if you’re getting a fair deal, here are the factors that go into deciding how much a camera goes for in the current resale market. This is the most obvious factor, but surprisingly the one that usually has the least influence on the price. The vast majority of Polaroid cameras floating around the market have nearly the same value. Polaroid 600, SX-70, Spectra, it’s all the same to most people. However, there is one class of Polaroid cameras that are much more expensive than the rest. They’re the folding SLR models. The best Polaroid cameras have always been the most expensive. The classic folding SLR design that Edwin Land perfected have always sold for hundreds of dollars since the days when they were new. The first folding SLRs featured real leather and metal parts, and even the later plastic models retained a high standard of quality. These cameras are always going to go for a high price because of their value to both collectors and real photographers. Expect to pay over 100 USD on the cheap end and many hundreds, even over a thousand for the best models. Otherwise, the vast majority of Polaroid cameras are the cheapie rangefinders. There are some small variations between models, but overall their value is the same. Unlike the SLRs, these cameras are built out of cheap plastic and have minimal controls. The sheer amount of them on the market reduces their value considerably. After 2008, the value of Polaroid cameras quickly declined to nil. With no new film on the horizon, sellers were eager to get rid of any remaining stock of cameras before they became useless plastic bricks taking up space. I knew that a scrappy group of entrepreneurs were busy with the Impossible Project, but few others knew. 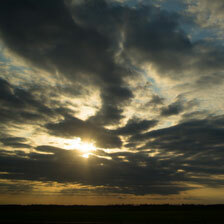 I purchased armloads of cameras at a dollar apiece at camera stores all over the Midwest. 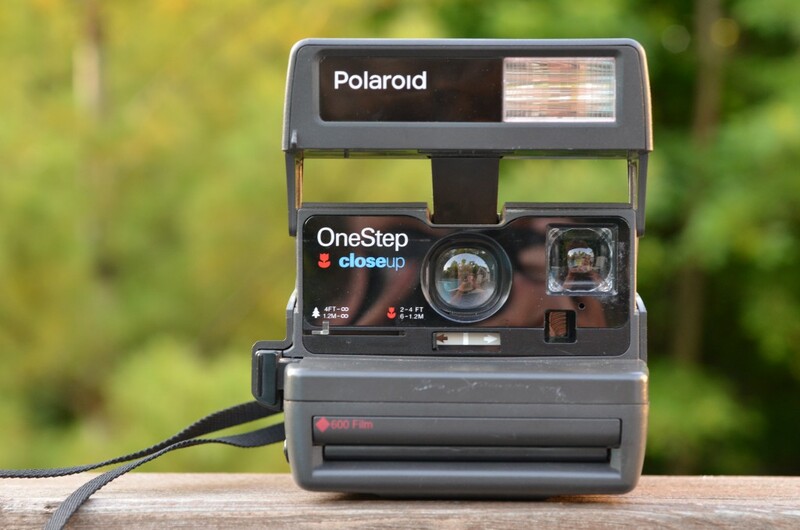 However, as the years have gone by and the Impossible Project has grown in popularity, sellers have come to realize that used Polaroid cameras are valuable and in demand again. Some of the stores that I once purchased cameras for next to nothing now sell the same units for up to 90 USD a pop. All of this is to say that a large part of the cost is the perceived value of the camera in the seller’s eyes. Those that know about the Impossible Project will sell you a camera for much more than somebody who thinks Polaroid is long gone. This is how you’ll be able to score some incredible deals at flea markets, garage sales, and small camera shops. The absolute most expensive place one can purchase a camera is from the Impossible Project itself. To go along with their film, the Impossible Project sells ‘refurbished’ cameras that they’ve found, repaired, and repackaged. These cameras cost hundreds of dollars for even the cheapest models. What you’re paying for is the convenience of buying a camera from the same place that’s selling you film, the cool packaging, and the peace of mind knowing that the camera has been tested and can be returned if it doesn’t work. A bit cheaper, but still expensive, are in-the-know camera resale shops like A&A Studios in Chicago. Often these camera stores will have a wide selection of pre-tested cameras that you can return if they don’t work. I’ve bought almost all my SLR polaroids from stores like this due to the delicate nature of those cameras. The cheapest (and fairest) prices are found on eBay and other used sites. These cameras are usually untested and there is no guarantee that they will work. However, they are much, much cheaper than places like the Impossible Project. Common 600 type Polaroid cameras like the Impulse AF will run about 20 USD, depending on what country you’re in. Personally, I get most of my cameras from these sellers. Most of the cameras end up working just fine, and even in the rare case when one doesn’t, I’m only out a few bucks. I can often buy several cameras for the price of a single marked-up model found somewhere else. Before buying a camera from anybody, always check out what the going rate for the camera is on eBay. The site is an excellent tool to find the approximate value for the camera, and from there you can make an educated decision on how and where you want to purchase your used Polaroid camera. If you’re wondering what specific camera you should look for, check out my Polaroid used camera buying guide for a rundown of all my favorite models and what kind of person they’re good for.